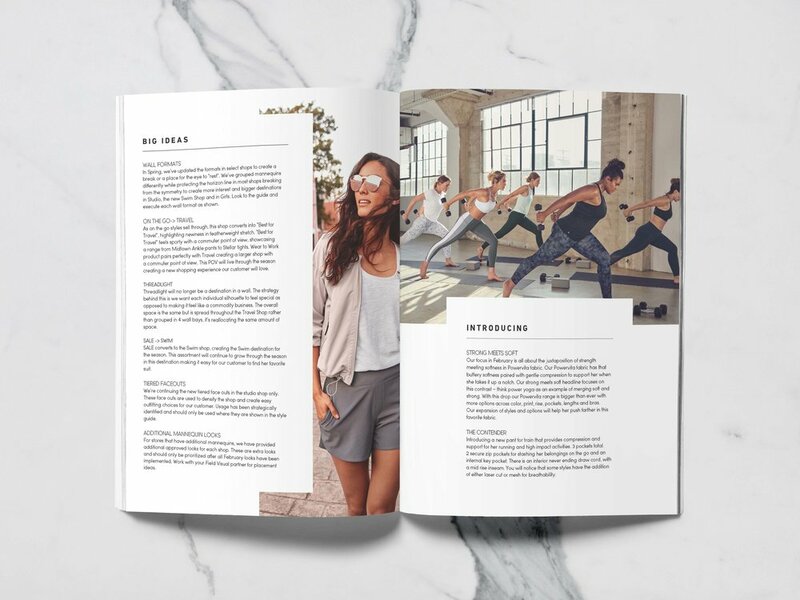 As a Retail Graphic Designer at Athleta, I worked with the Visual Merchandising team to design a style guide/lookbook that published to stores every seasonal floorset. This document enabled Athleta to showcase new collections through images, videos and text that convey the feel or story for the new season. I photographed, photoshopped, gathered content and designed this style guide for each drop. In addition, I concepted, designed and pitched packaging and in-store graphics to upper management.